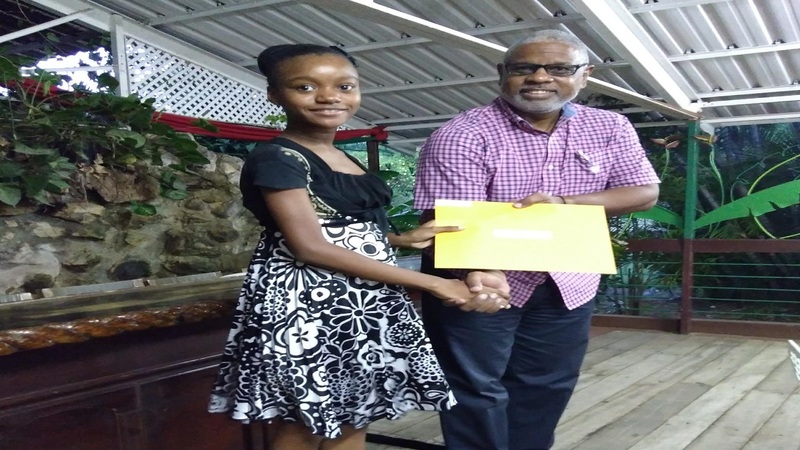 Former Mona Heights Primary School student Emily Williams, who now attends Campion College collects her award from AQuA Foundation Executive Director Nigel Pennycooke. US-based AQuA Foundation has disbursed $350,000 in scholarships to four new high school students for the new school-term that started earlier this week. In addition, four high school students saw their scholarships renewed for another year. 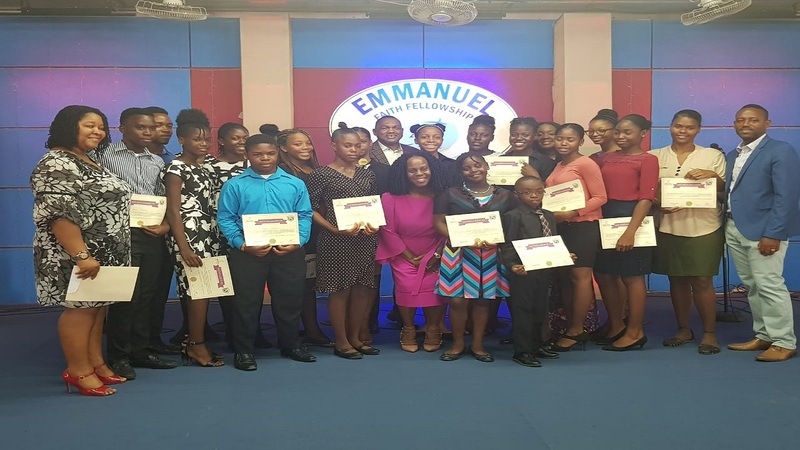 First-time awardees from primary schools are Imari Clarke and Ocakvia Campbell both from Rollington Town Primary; Tremaine Grant from Allman Town Primary and from Mona Heights Primary, Emily Williams and Dimario Sullivan. 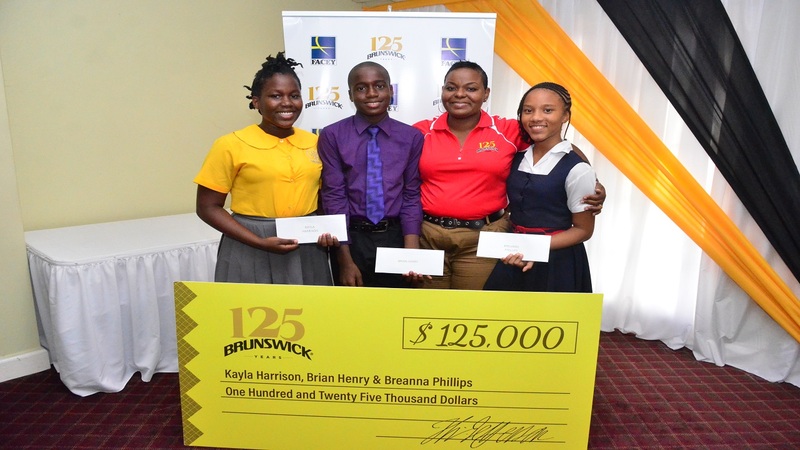 High school students who saw their funding renewed are Britanie Hall of Convent of Mercy Academy (Alpha); Shaquille Ramsay, Daniel Campbell and Joshua McKnight, all of Wolmer’s Boys’ School. 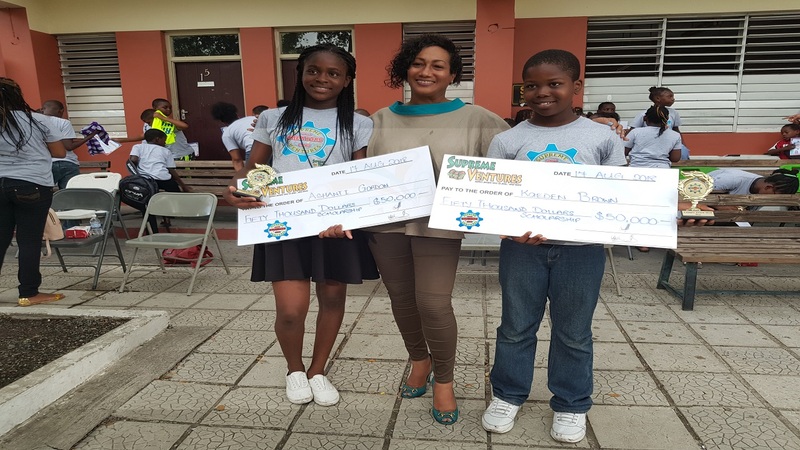 The students were recently feted at an awards function at which three young entrepreneurs representing Educatours encouraged them to “think big”. The foundation is the brainchild of Jamaican and past Wolmer’s Boys’ student Nigel Pennycooke who now resides in Florida. Pennycooke, through the foundation awarded the first set of scholarships in 2016 to students of his alma mater. 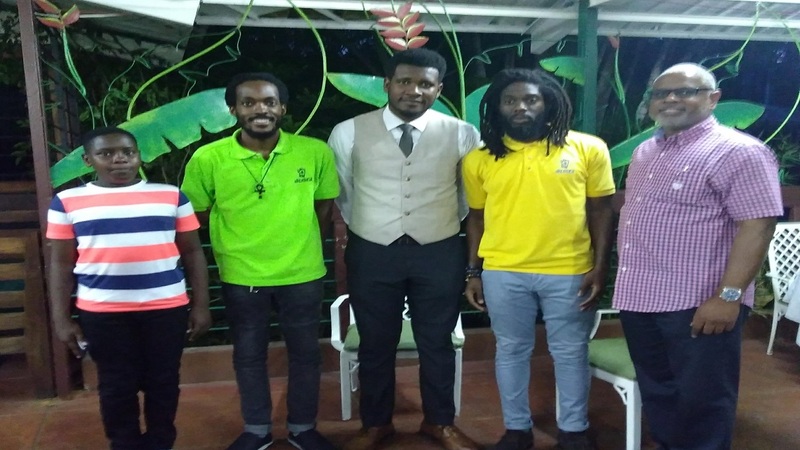 AQuA Progamme Mamagemt CEO, Kadeem Pet-grave along with fellow directors Simier Landsend and Jahmar Clarke gave the group pointers for success. Together, the former JC school mates founded Educatours three years ago. In their joint presentation to the scholarship winners, the young businessmen urged the students to get in touch with their strengths and weaknesses. “Know yourself. Find your passion and pursue it,” Mr. Pet-grave said.